Have you ever witnessed the 1959 Cadillac Miller-Meteor limo-style endloader combination car (ambulance conversion) [thank you Wikipedia article!] 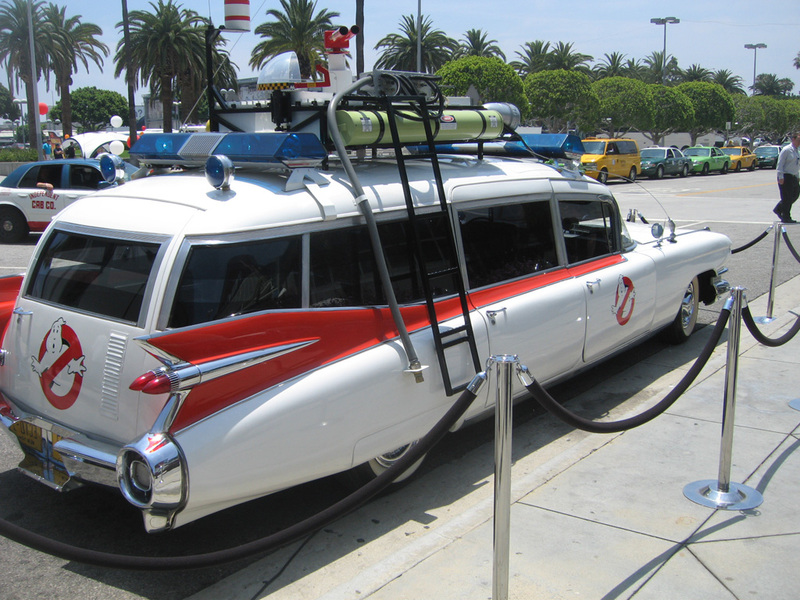 that is the Ecto-1, better known as the Ectomobile? But I read a blog that has people going to E3 (last year) who have seen it, and have taken some photos of it. Seems to be the real deal. Read the full short article here and see the photos here. Oh, how I love the Ghostbusters and their method of transportation! What happens when you cross the streams? I’m getting more and more excited about the new Ghostbusters game, although we don’t know all that much about it yet. Why do I get excited then? It’s… it’s simply the Ghostbusters, and they’re awesome! The problem, see, is that Atari forgot one important piece of information concerning any Ghostbusters multiplayer experience: What happens when you cross the streams? It’s a vital detail and, frankly, we’re shocked it’s not even mentioned. Until the game is released, I guess I’ll drive around Paradise City with the legendary Ectomobile (part of the Burnout Paradise Legendary Cars). Author dikkmartinPosted on March 15, 2009 Categories Entertainment, GamesTags awesome, game, ghostbusters, legendary, video gamesLeave a comment on What happens when you cross the streams? Continueing from my previous post, I’ld like to point out a particular awesome gang: The Ghostbusters! The Ghostbusters are so well known in pop culture, you can ask anyone on the street, on the bus or in your office or school: “Who you gonna call? !” and they’ll respond to you with the only possible answer. Try it out, it’s fun! Author dikkmartinPosted on February 12, 2009 Categories Awesomeness, Entertainment, GamesTags awesome, ghostbusters, video gamesLeave a comment on Who you gonna call? !